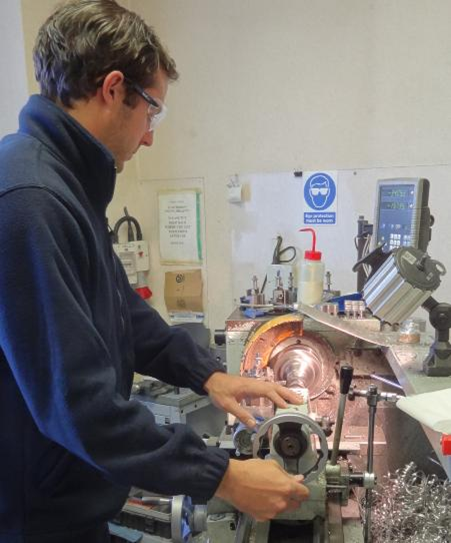 Will working on the workshop lathe. Under the spotlight this week is one of the newest employees at Linkam, Will Blockley. Having most recently worked for a green energy company in Africa and the USA, Linkam is excited to welcome him to the R&D team. I started at Linkam on March 18th 2013, so not very long at all. Everyone is very welcoming and positive about working at Linkam. Tell us about your studies and work experience. What were you doing before this? I used to work for a green energy company that sent me to Africa and the USA. It was a great experience. Why did you choose an engineering career? I enjoy it - and engineering makes the world a better place. What makes you passionate about science/engineering? I love seeing things go from an idea to a working product. 8hrs:1 coffee; 4 teas; and a productive, busy day. No, but the weather has. Golf, hockey, and basically any sport. I would like to be a manager or senior engineer. Singapore. I only have one word: amazing. We hope you are enjoying the snap-shot of the lives of the people who play a part in creating your Linkam stage.